If you are a single mother, you may have faced challenges when trying to find affordable health care insurance coverage for you and your children. Although, finding the right health insurance plan may be difficult, there are some options available to you. Medicaid is a government assistance program designed to help pay for health care for low-income families. Medicare and Medicaid are separate programs. For many low-income single mothers, this may be the only option for coverage. Medicaid programs are jointly funded by states and the federal government. Each state has its own eligibility requirements that consider income, family size, and other factors. Some states have recently expanded Medicaid coverage to include more Americans with income below the predetermined eligibility amount. If your state is one that has expanded Medicaid, a family of three with income below $27,000 may qualify for coverage. 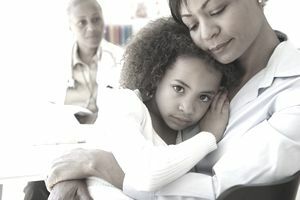 The Children’s Health Insurance Program (CHIP) is another option for single mothers to obtain free or low-cost health insurance. The CHIP program may be an option for you if your income is too high to qualify for Medicaid. Some of the coverage plans through CHIP cover these services: doctor’s visits, immunizations, routine check-ups, emergency services, prescriptions, dental/vision care, laboratory/x-rays, inpatient/outpatient hospital services. The CHIP program covers children up to age 19. With CHIP, there is no charge for well-child doctor’s visits. Charges for other services vary but charges per year are limited to no more than 5 percent of your family’s annual income. If your employer offers health insurance, you can apply through your company’s employer-sponsored health insurance program. Through the Affordable Care Act, the cost of healthcare insurance offered by your employer cannot exceed 9.5 percent of your household income for the year. If your employer does offer the option for insurance coverage to you and it is considered affordable, you may not be eligible for a subsidized health insurance policy through the Insurance Marketplace. Single mothers who do not qualify for Medicaid may still be eligible to receive subsidies to help pay for insurance through the Insurance Marketplace. Eligibility for the subsidy for a family of three would be an income between $20,420 and $82,680. An advance premium tax credit may be available for those buying insurance through the Marketplace and you can choose to have the credit applied to your insurance, lowering the premium you pay each month. If you don’t apply the credit to your insurance premium, you may still be able to claim this credit when filing your federal taxes for the year. If you are a single mother between jobs and waiting for insurance coverage to begin at your new place of employment, you may buy a short-term medical insurance policy. The short-term policy provides temporary health insurance benefits until your new coverage begins. This may be an option if you need coverage quickly and cannot wait until your new health insurance takes affect or if you are outside of the open enrollment season. You are allowed to stay on your parent’s health insurance plan until you are 26 in most cases. This includes young adults who are married, have a child or who have started or left school. You do not have to be claimed as a dependent on your parent’s taxes or live with your parents to qualify. Even if you do not enroll in an available employer-sponsored health plan, you are still eligible. Eligibility rules vary by state and plan. If you are considering your parent’s insurance plan as an option for health care, your parent can enroll you in an employer-based plan during an open enrollment period or a special enrollment period. If you parent is buying health insurance through the Health Insurance Marketplace, he can include you on the application. To add you to an existing health insurance plan, your parent must do so during an open enrollment period. With a little research, you can find health insurance for you and your children as a single mother. If you need help in finding out what type of health insurance programs you may qualify to receive, you can create an account online at HealthCare.gov, (The Insurance Marketplace) and find out if you qualify for Medicaid, CHIP or if you can find an affordable private health insurance plan.